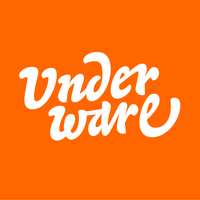 Underware is a graphic design studio which is specialized in designing and producing typefaces. These are often conventional in terms of legibility - yet functional, having concepts that seek for new visual, typographic and linguistic possibilities. Up to date, Underware’s creations have received many awards - TDC New York’s Certificate of Excellence in Type Design has been granted for Auto, Bello, Fakir and Sauna, while Dolly became a Bukvaraz Winner in Moscow 2002. "Our intense cooperation creates surprises by itself. A collaboration offers possibilities which individuals can't benefit from. For example: sometimes all of us reserve a whole day for sketching new type. Early in the morning one of us sends a picture to one of the others, and that person has to create a typeface which fits for this picture within one day. A quick and easy way to push our creative borders, and surprise yourself. We usually start sketching on paper, sometimes very rough with a pen during a phone talk, other times more precisely with a brush or pencil in a more concentrated moment. Sketching by hand allows you to find new forms, to create a specific, unique style. Once you've found that style, the rest of the characters are digitally created and fine-tuned. During the following design process, eg when additional weights are being created, we occasionally return to sketching on paper to find new solutions for problems we meet in the digital process. But in the end, it doesn't matter if the computer or a brush or pencil are your tools. The most important tool is your brain."